On this week’s UFC World podcast, TUF winners Chris Holdsworth and Michael Chiesa talk about the immense moment in their lives from gaining the six-figure, three-fight contract. Holdsworth admits that things went to plan against Davey Grant in the final, and insisted that getting into MMA has made him a happy man. He also revealed that the over-blown rivalry between Ronda Rousey and Miesha Tate never affected him, and never distracted him from his aims. Michael Chiesa talks of beards, his dad and how his father attended boarding school in England, and was affected by the musical culture of the UK growing up, with bands like The Rolling Stones and The Who. He reveals that he was named ‘Michael Keith’ after Mick Jagger and Keith Richards, of the Stones. Chiesa also added that he knew Chris Holdsworth would get into the UFC after meeting him years ago on his season of TUF, about his tough year- leaving to go to TUF knowing his dad wouldn’t be there when he got back – and how Fight For The Troops was an amazing experience, and how he thought he’d be booed for looking like a revolutionary. But he wasn’t. 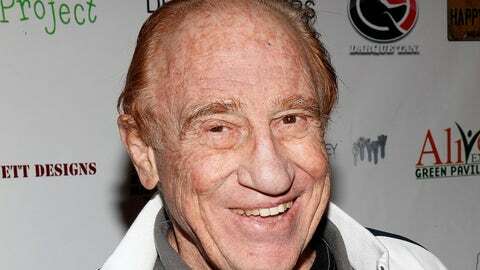 Finally, martial arts legend Gene LeBell, on the 50th anniversary of his ‘Boxing vs Judo’ fight with Milo Savage, gives his theory that judo is underrated, and that often, jiu-jitsu gets too much credit, especially for submissions. LeBell says the submissions have been around for years, it’s just the names that have changed.